In 1996, a 6-CD set called "The Private Tapes" was released featuring unreleased studio and live material by Ash Ra Tempel, one of the great pioneers of electronic space music as well as being a great acid rockin' band. Purple Pyramid has now released a more affordable 2-CD set (the original is out of print anyway). The period covered on this set covers the years 1972-1979. The two CD's feature lots of the experimentation that made the band so important to the electronic scene, from dreamy astral soundscapes to more psychedelic works. And Manual Gottsching's guitar work is featured prominently throughout. Gottsching has been the band's mainstay through the years and in the 70's it was his guitar that added a unique quality that made Ash Ra Tempel both part of, yet not limited to, the same electronic genre that bands like Tangerine Dream influenced. Gottsching incorporated his guitar into the electronics, but was also a blues influenced rocker who could wail out extended jams. Several lengthy pieces are included, five of which are over ten minutes and feature the band stretching out and exploring. The really hot guitar pieces are "Wall Of Sound", "Ultramarine", "Deep Distance", and "Club Cannibal". Some, like "Wall Of Sound", are excellent examples of Gottsching's efforts to incorporate the guitar into the electronics and expand the instrument's possibilities. Others, like "Club Cannibal", feature the more rockin' jamming side of the band. While unreleased/live collections are usually for veteran fans, this set covers enough of the band's stylistic territory to make it a solid starting point for the beginner. Float away on an astral cloud, or rock out. Its all here. Also out are re-releases of the band's 2nd through 5th albums, and in lieu of bonus tracks they have been doubled up on the CD's re-releases. 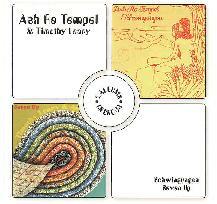 All these albums feature the almost schizophrenic Ash Ra mix of raw blues inflected psych jams, Grateful Dead-like tunes, and electronic spaciness. Schwingungen and Seven Up appear on one disc. Schwingungen has more hippie type psychedelia than the others, but has some great stratospheric guitar, electronics, and some wailing sax on parts. The standout is the nearly 20 minute title track which, from a historical standpoint, is an interesting early example of spacey trance music. Seven Up has some of Ash Ra's rawest bluesy 'rockin' at the Fillmore psych', but also has an extended piece consisting of Gottsching's psych guitar, electronic freakouts, and trippy voices. Join Inn and Starring Rosi appear together on the second disc. My personal favorite of the four albums is Join Inn which consists of two extended tunes. Few song titles could ever fit the music better than "Freak 'N' Roll". Heavy jam rock á la Cream, the tune also incorporates healthy doses of Ash Ra spaciness and electronics, and Gottsching's guitar goes to the edge of the universe while the bass and drums keep the most basic of jam rock beats. My favorite of the band's rawer rockin' tunes. The Starring Rosi album hardly "starred" Rosi (Gottsching's girlfriend) as her contribution is mostly space whispery vocals. The album is still very good though. "Laughter Loving" is a very Grateful Dead/Allman Brothers sounding tune with a gorgeous solo by Gottsching and multiple layers of guitars. My other favorite is "Interplay of Forces" featuring trancey psych and Dead influenced jams. 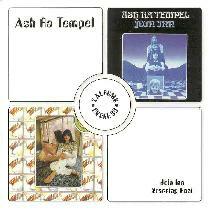 With all these releases this seems to be the year of Ash Ra Tempel. Where to start? Anywhere. Just grab one. But if forced to help I'd say go with Private Tapes.